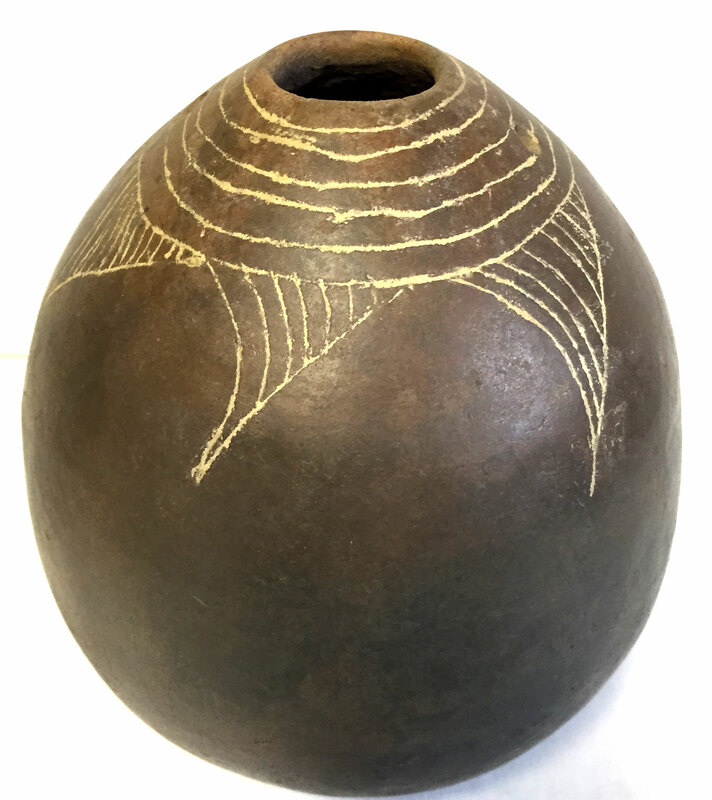 A Small To Medium Size, Very Well Made, Nicely Shaped, Visibly Aged, Rare Means Engraved Caddoan Seed Jar That Exhibits Correct Surface Coiling Manufacture, Visible Aged Hole Use Wear, Correct Aged Surface Shell Grog Mixture, Aged Open Pit Firing And Fire Marking, Correct Material And Manufacture For The Area Found. Ex-Rick Steed Collection. Caddoan Seed Jars Are Rare, Found In A Small Area In South Arkansas, This Example Being Found In The Exterior Area Of Distribution And Engraved Types Are More Rare Than Plain Examples! Suspension Holes Are Visible On This Nice Example. Includes A Ken Partain Certificate Of Authenticity.